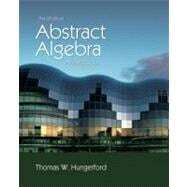 ABSTRACT ALGEBRA: AN INTRODUCTION is intended for a first undergraduate course in modern abstract algebra. The flexible design of the text makes it suitable for courses of various lengths and different levels of mathematical sophistication, ranging from a traditional abstract algebra course to one with a more applied flavor. The emphasis is on clarity of exposition. The thematic development and organizational overview is what sets this book apart. The chapters are organized around three themes: arithmetic, congruence, and abstract structures. Each Them is developed first for the integers, then for polynomials, and finally for rings and groups. This enables students to see where many abstract concepts come from, why they are important, and how they relate to one another.